3. 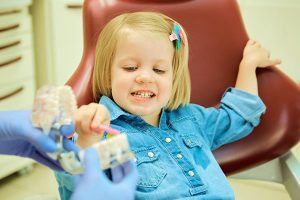 The pediatric dentist will address parental questions and concerns. 5. The dentist will provide advice on good oral care, how to prevent oral injury, fluoride intake, and sippy cup use. 9. The dentist will detail which teeth may appear in the following months. 10. The dentist will outline an appointment schedule and describe what will happen during the next appointment.